Shropshire based needle felt artist and pattern designer - 'Little Needle-felt Animals' published by Harper Collins. 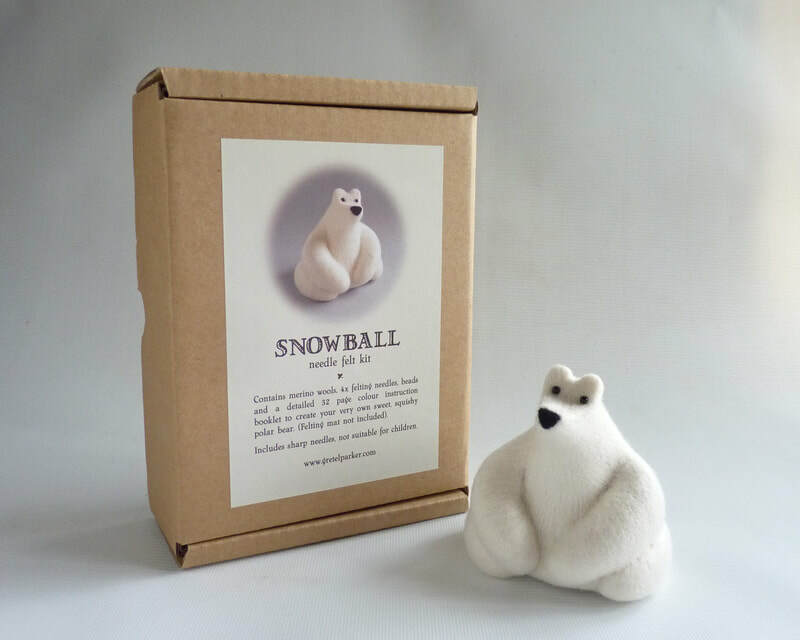 high quality wool sculpture, premium needle felting kits, needle felt supplies and online workshops. A four hour workshop at Loudwater Studios just outside Ludlow, making your very own chicken (or two...or three...). 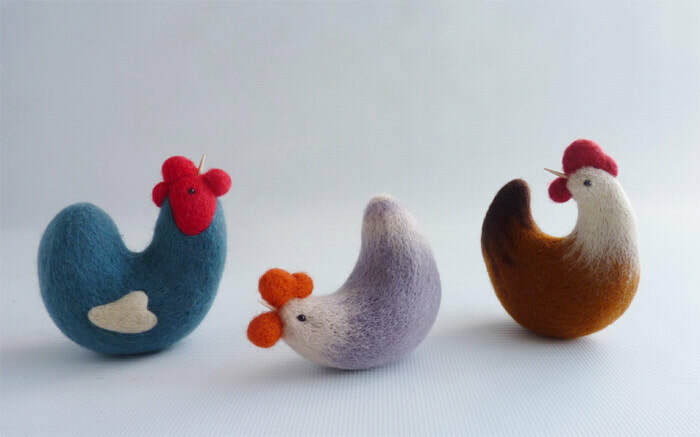 As well as felting sponges and needles, I will bring copious amounts of wool for you to choose your colours from, pre-threaded wooden beaks and eyes, and will guide you through the process of creating your little bird. This design is very simple and suitable for beginners, but can also be elaborated on if you already have experience of needle felting. 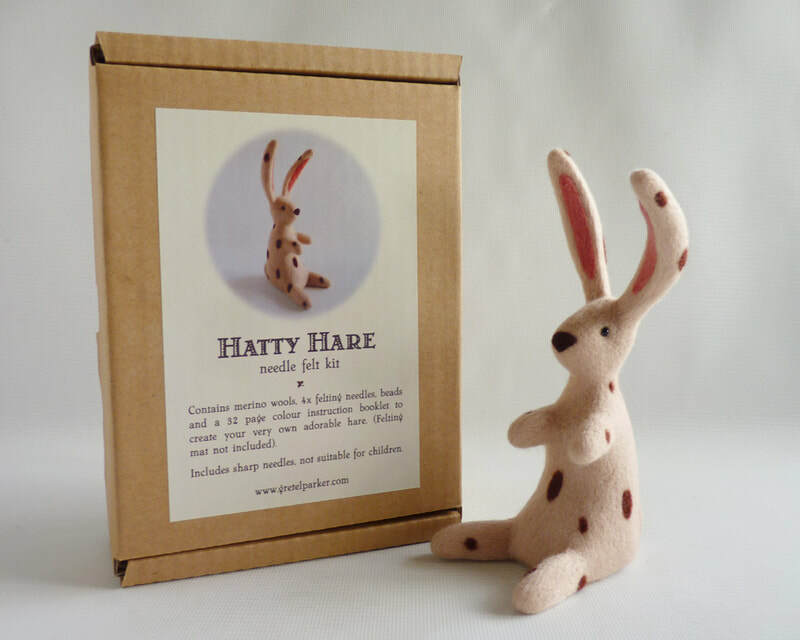 My 'Hatty Hare' needle felt kit is now available with lots of soft merino wool, four quality needles on a storage card and a detailed 32 page instruction booklet with step by step photos. To buy yours, please click here to be taken to my Etsy shop. My 'Snowball' needle felt kit is now available with lots of soft merino wool, four quality needles on a storage card and a detailed 32 page instruction booklet with step by step photos. To buy yours, please click here to be taken to my Etsy shop. I'm thrilled to announce the first of my new on-line workshops, which are accessible word wide! This is an easy to follow pattern for a sweet sleepy squirrel brooch, containing fifty step photos with clearly written instructions and four supplementary mini demo videos to help you through the trickier bits. To read more about the course, including full description and materials list, please click on the link below which will take you to the course site and give you the option to enrol via Paypal. Follow me on Instagram for work in progress photos and first chance to buy new works for sale. Click on the link below to see my account. 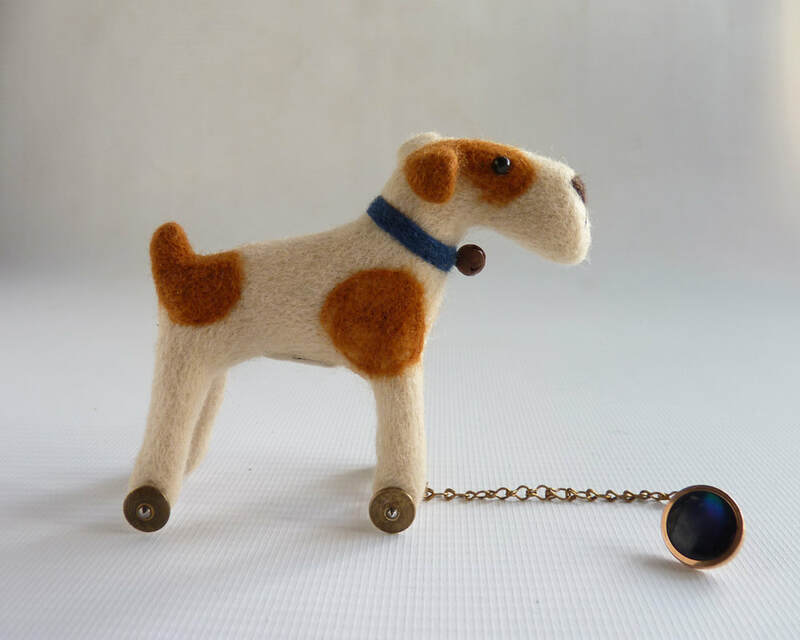 My Etsy shop is in its tenth year and not only stocks my own unique needle felt sculptures, but kits of my designs, merino wool roving in over 40 delicious shades, which can be purchased as individual bags or multi-buys.